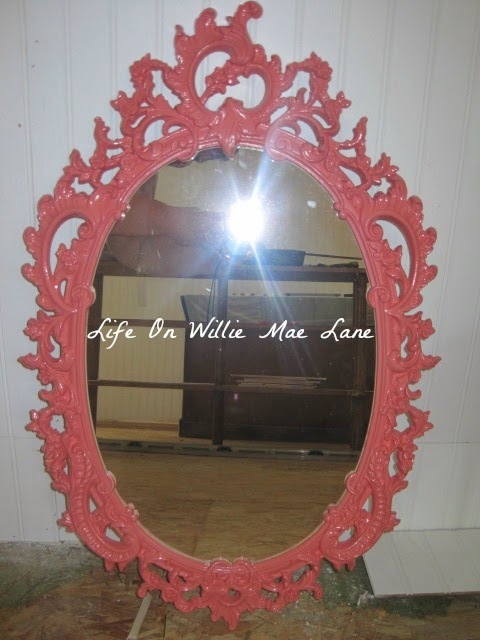 Beautiful mirror... love that coral color you chose. I need to go thrift store/flea market searching. I haven't went in a while. Thanks for sharing your great finds, I enjoy seeing all the neat things you find. That bee pitcher is too cute. It did indeed go from drab to fab :) The color is so pretty and cheerful - you have such a great eye for colors. I thoroughly enjoyed reading through the posts that I have missed. . .you have been a busy bee :) I love your wall!! It's simply gorgeous! Take care, my friend, and have a wonderful evening. Vicky, I'm so glad to hear that things are moving along in your home. Love the bright mirror color! You also found some great finds! 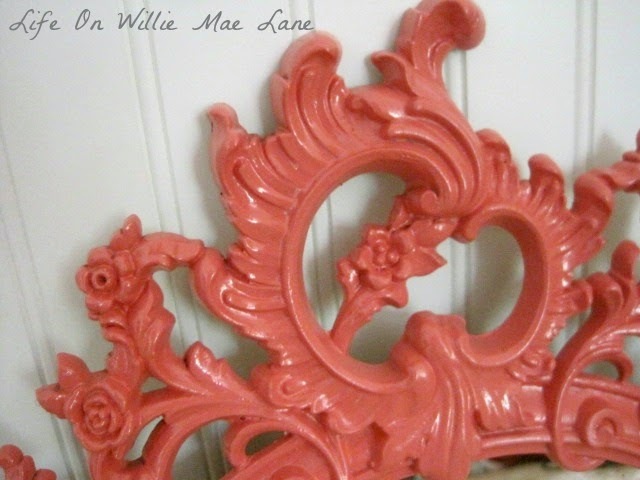 That coral color will look great on the wall - it really pops. Of course I love the white pitchers. Do you think the square bowls will sit in the black plates with tiny white pumpkins for fall? A lot of goodness in this post! I have some coral touches in my living room, such a great color. Your mirror looks terrific. Sweet finds all. Can't wait to see your finished room. That looks like the same coral I used on my corner shelf Vicky! I love it too, the mirror looks beautiful! You found some great things while thrifting, I love the little bee teapot! You've sure been busy being a thrifty shopper. 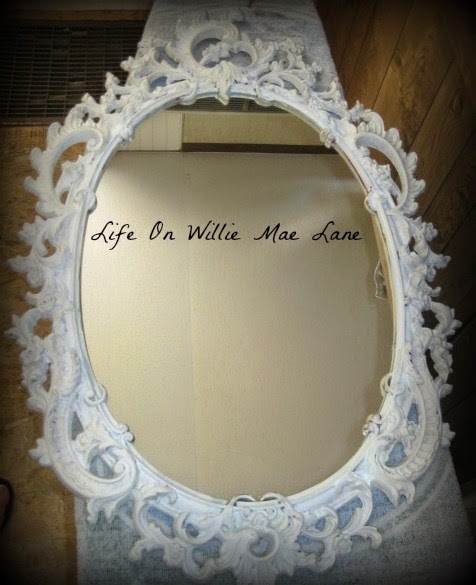 Love the color you chose for your mirror and that wooden piece is going to be fabulous when you finish with it. Your mirror really looks fabulous in the coral Vicky, and I love that white pitcher. You've really found some great treasures lately. That bee teapot is too adorable. I love the coral mirror ! You're really good at finding adorable things at amazing prices. The prices at your shops are so low! I would buy up too much stuff at those prices. Visiting with you via Stephanie's blog. I love the coral on the mirror. It makes the design really pop! I have a mirror that I would like to paint aqua. Vicky, those bowls are sooo cute, I love them. And painting the mirror red made a huge difference and made it POP, paint always amazes me it just transforms everything. Hi Vicky, thanks for the welcome back. I really needed the break from blogging and so enjoyed my vacation. I love the mirror in coral! What a difference color makes. Take care and enjoy the rest of the week.